It was life threatening from the beginning. Alexey Leonov nearly died on man’s first spacewalk (see 116. Spacecraft Threatened by Bears). 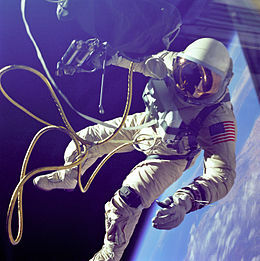 Three months later, Ed White’s space walk was exhilarating until it came time to reenter his Gemini craft. Then he found getting back in to be nearly impossible. Nothing is as easy as it looks in space. 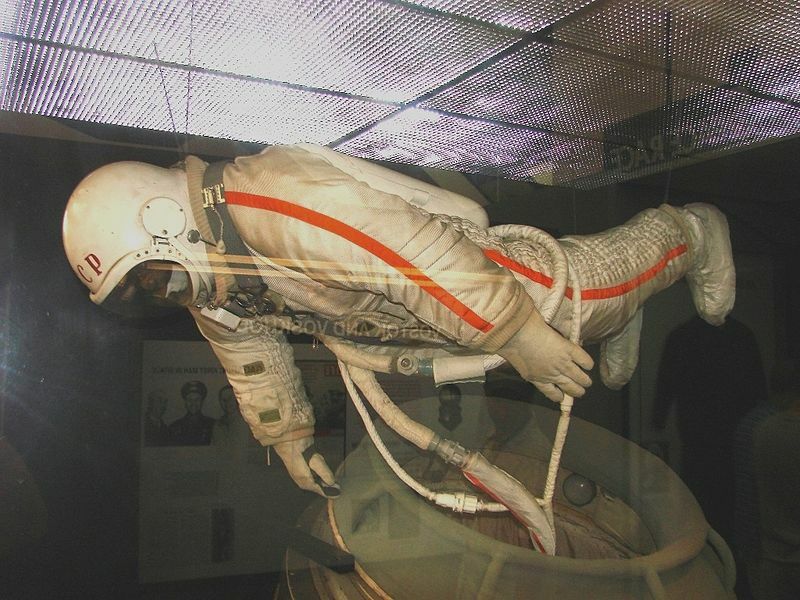 There are basically three problems with spacewalks – vacuum, vacuum, and weightlessness. Vacuum outside and pressure inside makes space suits incredibly difficult to bend. Reaching over to flip a switch, which a bedfast child could do on Earth, takes great strength when suited up and in vacuum. Vacuum also provides insulation. When a spacewalking astronaut is working hard to bend in his pressure suit, the vacuum of space is keeping his body heat from dissipating. Finally, weightlessness makes it impossible to get purchase to exert one’s strength. Both Leonov and White floated happily, but when it came time to reenter their vehicles, they found it hard to maneuver, hard to bend, and they both overheated. Cernan’s spacewalk, the third ever attempted, was worse. He was given an impossible series of tasks to perform. Nevertheless, he was determined to perform them. People who fail, don’t remain in the astronaut corps, and trying to do the impossible nearly killed him. First, the two astronauts fully suited up and opened the hatch. This meant that not only Cernan was suddenly encased in a “garment made of hardened plaster of paris”, but so was Stafford, reducing his ability to help. They released the “snake”, their term for the umbilical cord that carried electricity, oxygen, and communications. Ed White had also been on the end of an umbilical, but he had had a hand powered jet that he used for mobility. Cernan’s first experiment was to see if he could move around space, simply tugging on the umbilical. The snake uncoiled and recoiled, subject to internal stresses. Any time Cernan tried to move by tugging on it, he ended up being spun out of control. This went on for half an hour until it was clear that no astronaut would ever be able to use his umbilical to maneuver. Cernan clung to the hatch to catch his breath, then began the second experiment. 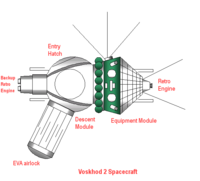 The MMU was a backpack style manned maneuvering unit designed for an astronaut to fly freely at the end of a safety line. It was a great idea, but there was no place in the Gemini to store it, so it had been fastened into a recess in the very base of the vehicle. 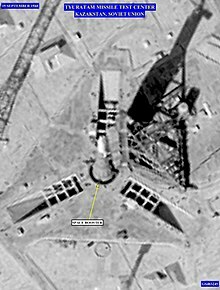 This entry was posted in A Writing Life and tagged cosmonauts, forgotten heroes, history, spaceflight, writing on February 2, 2017 by sydlogsdon. 53 years ago today, the first woman flew in space. Her name was Valentina Tereshkova. The Soviets hailed her as a hero of the People (see131. Chasing Cosmonauts), and as proof that Russia was ahead of the US in social advancement as well as in space travel. The US treated her as a joke. Both assessment were wrong, although both contained kernels of truth. Even today, half a century after the event, it is difficult to come to a balanced appraisal of the flight of Vostok 6. Russian propaganda and American dismissal still cloud the picture. I am taking a shot at accuracy here, but a workman is only as good as his tools, so keep a measure of skepticism in mind. Tereshkova’s father was MIA during WWII, leaving her mother to raise Tereshkova alone. She left school early to join her mother working in a state textile mill. There she joined a parachute club, which was a military auxiliary, and became an expert parachutist as well as secretary of the local Komsomol. Early in the Soviet space program, there was a movement to add female cosmonauts, mostly for propaganda purposes. Candidates did not need flight experience since the Vostok craft were fully automated, but the did need extensive parachute experience, since at that early stage cosmonauts finalized their landings by personal parachute (see130. First Into Space). Tereshkova was one of fifty-four candidates interviewed, and one of five who made it through training. Tereshkova was personable, doctrinally sound in communism, from the peasant and workers class, hard working, willing, and an expert parachutist. She was not well educated nor an experienced pilot. Ponomaryova and Solovyova, female cosmonaut trainees who had those additional qualifications, were scheduled for a later, more sophisticated flight, and Tereshkova was scheduled for the Vostok 5/6 dual flight. Vostok 5, crewed by Valery Bykovsky, was launched on June 14, scheduled for an eight day flight, but a low orbit forced it to be shortened to five. Vostok 6, crewed by Tereshkova, was launched on June 16 and remained in orbit for three days. They passed within five kilometers while in space. During the flight, Tereshkova discovered that the automatic orientation system had her flying sideways in orbit, an error that would have been fatal during reentry. Ground control confirmed and corrected. Whether she activated her final reentry personally or not is still unclear. In those early days, landing accuracy had not been perfected. When she ejected from her craft, she found herself coming down into a large lake, and was only saved from downing by a strong wind that carried her to a rough landing on shore. American astronauts, all of whom were test pilots, had little respect for the skills of Soviet cosmonauts. They used Tereshkova’s flight to justify their ridicule, saying that the Russians had simply pulled a woman off the line in a factory and sent her up into space as a glorified passenger. There was a bit of justification in their assessment. It was a propaganda stunt, but that didn’t mitigate the dangers. Tereshkova was uneducated, but by six years later she had taken advantage of her situation to earn a degree in engineering. She was not a pilot when chosen for training, but by the time of Vostok 6 she had learned to fly jets and had made 120 additional jumps to hone her skills as a parachutist. Alan Shepard was a superb test pilot when he flew his Mercury mission, but he had almost no control over his capsule and nobody called him spam-in-a-can. Well, actually, Chuck Yeager did, but that’s what too much testosterone will do to your thinking. Tereshkova’s contribution to space flight was real, but the Soviet commitment to equality was not. Ponomaryova and Solovyova’s flight was cancelled, and it would be nineteen years before another Soviet woman flew in space. It would be twenty years before the first American woman, Sally Ride, entered space, even though thirteen American female astronauts had been chosen and trained during the early sixties. Like Ponomaryova and Solovyova, they never flew. This entry was posted in A Writing Life and tagged cosmonauts, Gagarin, history, military, space travel, USSR on June 16, 2016 by sydlogsdon. In October, 2015, I wrote a post about the people who got fame they didn’t deserve, or failed to get the fame they did deserve, or who deserved fame, but for reasons other that what the public believed to be true. Since we are going to visit a bunch of forgotten heroes in the next two weeks, I am reprising that post here. True or false: Charles Lindbergh was the first man to fly across the Atlantic. False. He was the ninth. True or false: Charles Lindbergh was the first man to fly nonstop across the Atlantic. False. He was the third. Lindbergh flew nonstop from New York, north to Newfoundland, then across the Atlantic ending up in Paris. His flight was longer, but the Atlantic crossing was identical to the one made by Alcock and Brown eight years earlier. Ask anyone in America today who was the first to fly across the Atlantic, and they will either say nothing or name Lindbergh. Alcock, Brown, and the crew of the NC-4 have all been forgotten. It’s not enough to be first, or best, if you don’t also catch the public imagination, or fall under the anointing power of the press. John Glenn was the most famous astronaut until Neil Armstrong replaced him. If you asked anyone in America during the sixties who was the first man in space, they would have said John Glenn. Nope, he was fifth. All right then, he was the first man in orbit. Nope, he was third. First American in space? Nope, third. John Glenn earned his fame, and he never asked to be better remembered than his fellow astronauts. But he was. Okay, let’s not be sexist. True or false: in 1928 Amelia Earhart became the first woman to fly a plane across the Atlantic. False. She was only a passenger on that flight; the pilot was Wilmer Stultz and the copilot was Louis Gordon. The flight was a bit of a stunt, and a successful one. On arrival in England, Earhart became instantly famous. There was a ticker tape parade and a reception at the White House when she returned to America. The press called her Lady Lindy. She wrote a book, went on tour, designed luggage and clothing, and generally became rich and famous – essentially before she had done anything. But that’s not the whole story. Earhart later came to deserve the fame she had already gained. She became the first woman to fly solo across the North American continent, participated in the Santa Monica to Cleveland Woman’s Air Derby, and in 1932 she became the first woman to fly nonstop alone across the Atlantic, finally earning the fame she had received four years earlier. It is a final irony in the fame-for-the-wrong-reasons game that Earhart is best remembered today for the flight in which she died, while failing to finish. This entry was posted in A Writing Life and tagged cosmonauts, forgotten heroes, history, spaceflight, writing on June 7, 2016 by sydlogsdon. This is a continuation of yesterday’s post First into Space. I followed the American manned space programs closely, but the Russians were a mystery. They gleefully announced their victories – first satellite in orbit, first living creature in orbit, first man in orbit, first woman in orbit, first space walk, first space station – but there were no details. I developed a curiosity that never went away. Time marched on. 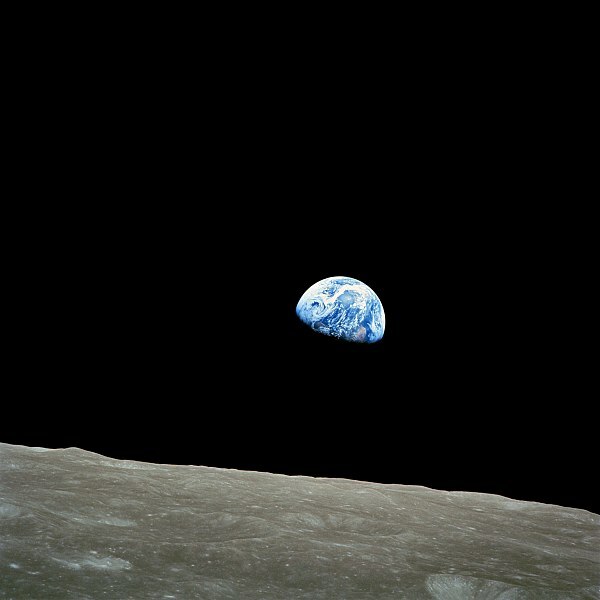 The race to the moon was won – by us, after a painfully slow start. The cold war ended. The pioneers of space drifted mostly out of public consciousness. Everybody remembers Armstrong, but Buzz Aldrin morphed into Buzz Lightyear, and Jim Lovell came to wear the face of Tom Hanks in public memory. And who remembers Gordo, or Deke, or Ed White? Well, I do, actually. I also remember the Russians, who were pioneers just like we were, and often got there first. In 1987, Douglas Hart produced The Encyclopedia of Soviet Spacecraft which has been my go-to source for decades. I recommend it highly for information preceding its publication date. Another book that I recently hacked my way through, like a noxious jungle, is Russians in Space by Evgeny Riabchikov. I found it at the *** Library, my favorite impoverished institution, a public library filed with seventy year old books and few new ones. Russians in Space was written in Russia, for Russians, during the sixties. It’s translation copyright is 1971 and I doubt if this copy has been read ten times in all those years. Do you remember Chekov from the original Star Trek, who was always telling everyone that Russia invented everything? He was a comic version of late sixties reality, when Russian bombast made everything in Pravda sound like it was written by Donald Trump. Russians in Space is of that type. I fought my way through the bombast and bad writing in search of the details I had not found elsewhere. No such luck. I took as my touchstone, the chapter on the Voskhod 2 flight, which I had recently researched (see 116. Spacecraft Threatened by Bears). Everything that made the flight memorable was missing. Riabchikov made it seem routine, when in fact, it was the planning and mechanical failures on the mission that spotlighted the incredible courage and skill of the cosmonauts. Our brave, valiant, plucky boys in space – that could have been the subtitle of Riabchikov’s book. It reminded me of an alternate reality prequel to the Lensmen series. Kimbal Kinnison would have fit in well with the square jawed, sturdy, blue eyed, strong but gentle supermen who made up Riabchikov’s version of the cosmonaut corps. They were comrades who always helped each other, never fought among themselves, and were ready like all good workers to do their part for the USSR. The cosmonauts who welcomed the female cosmonaut group were courteous and supportive, always ready to help them overcome any hurdle. Like big brothers who blushed when their hands touched. That is from a quotation I wrote down, then lost. You should thank me for the lapse. So why bother telling you about a book so bad? Because something else came through, despite its manifold failings. There was a sense of pride in the Soviet space program, and particularly in its cosmonauts, that was felt throughout Soviet society. Without glossing over any of the failings of the Soviet system, an American reader can see that the Russian people admired Yuri Gagarin in exactly the same way Americans admired John Glenn. It is clear that they felt a pride in Soviet successes that mirror-matched the frustration we felt at American failings during the same era. The story of the Soviet manned space program deserves better than Riabchikov, and I am still searching for the book that tells that story succinctly and well. I have some leads. I’ll tell you soon how they pan out. This entry was posted in A Writing Life and tagged cosmonauts, memoir, space travel, USSR, writing on April 13, 2016 by sydlogsdon.